Organically Growing Your Feed * Our Special Trick! Well Curated Creative Agency will provide snacks (yay! ), a social media handbook for learning and easy reference after the workshop and you’ll leave with 2 weeks of curated content ready to go for your social feed. Please note: This workshop is an intensive and not just a 101 or beginner class. 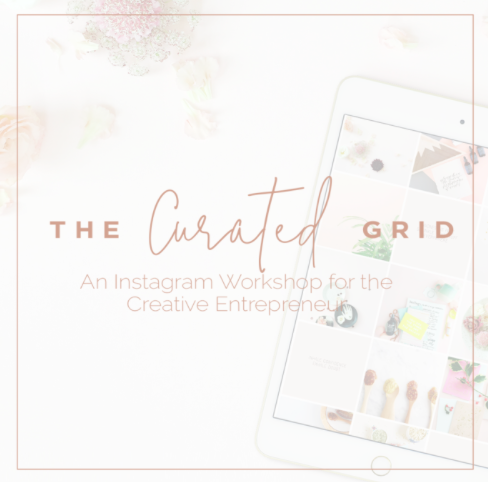 We will go into depth and teach you everything we know about Instagram from the basics to the more creative and fun pieces like designing quotes, styling photos, flat lay photography and most importantly- achieving cohesive branding throughout your feed while speaking to your Ideal Client. Be prepared to walk away with a lot of new knowledge.